Sometimes the oldies are the goodies and these traditional Old School Skunk Afghani seeds from Original Sensible brand is definitely one to keep. In just 50 to 65 days, you can have those traditional rock solid Afghani Skunk buds absolutely coated in thick gorgeous resin that transcends belief. The smell is uniquely skunky and permeates through the room leaving behind a flavour that stays on your palate for hours. 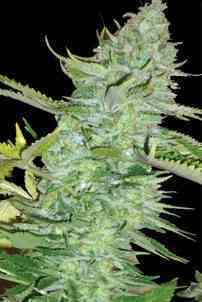 Grow the Skunk Afghani from Original Sensible cannabis seeds and you will have highly tolerant plants that are incredibly resistant to pets and moisture and can grow in almost any conditions. Because these weeds seeds are so easy to grow, they are ideal for the beginner that wants to try something really old school. But they are equally as popular with the commercial grower that just knows you don't mess with a good thing.